Your bedroom greatly affects your health, marriage and prosperity. Turn your bedroom into a restful place - one that provides serenity and peace and works positively on your spiritual, emotional and sexual energy. 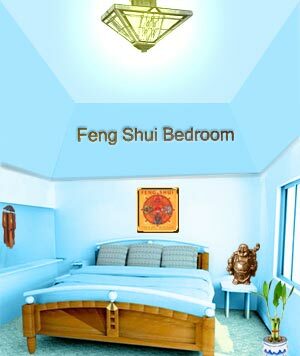 Gather useful Feng Shui tips on bedroom layout and decoration. Incorporate them in your bedroom layout to promote wellbeing and happiness. Look for ways to nurture your relationships! Do not make the mistake of extending the fast pace of your life into your bedroom and its layout. The bedroom has a strong association with intimacy and romance and must not contribute to fatigue and irritability. Remove inappropriate imagery that alludes to solitude, loneliness and conflict and disagreement. Clutter is anathema to good chi. De-clutter the bedroom to make room for positive vibes and new relationships. Do not let the entrance to your bedroom door be blocked with clutter since it is the area associated with opportunities. Breathe life into your relationship by clearing up the energy that is stuck with clutter. Make space in your bedroom if you are looking for a new relationship. Create mental and emotional space so as to promote improved mood and increased energy. Allow for a gentle flow of chi around the bedroom to nourish your love life. Windows and door must be positioned correctly. Use romantic artwork and fresh or silk flowers to promote an ambience of love. Peonies symbolize fidelity and marriage and are ideal for Feng Shui bedroom decoration. Set them up in pairs and not singles. Round mirrors represent union and completion and are ideal for bedrooms. Pink is a color that symbolizes love in Feng Shui. You can have some items of pink or red while decorating your bedroom. Add candles to your bedroom - they are romantic and create a pleasant ambience and create heat - ideal to set your love life on fire. Do not forget the sensual elements of soft music, massage oils and silky sheets and lingerie. With a few useful Feng Shui bedroom tips, your bedroom is likely to become a calm restful place, one where you can relax and unwind. These tips on Feng shui bedrooms can go a long way in making your sleeping space better ventilated, better planned and neater. Avoid computers, televisions and video games in the bedroom. Screen them off in armoires and behind screens if they need to find place in your bedroom. Go in for a good quality bed. Choose wooden beds over metal beds since metal beds can conduct electricity, which may not be positive chi. Use soft drapes and soft relaxing bed sheets and comforters. Keep garbage out of the bedroom. Do not place fish tanks and fountains in bedrooms. If your bed faces an open doorway, a line of Feng Shui crystal balls effectively create an invisible, protective line of energy around the bed. Close your curtains at night while you let the sun stream in during the day to bring in positive energy. Ensure that curtains move easily are kept clean to allow fresh chi to come in. Renew the chi in the bedroom by changing sheets regularly. It helps promote positive energy and maintain cleanliness too. Add a touch of red - the color of love and warmth. A pillow in red or a bright red candle can do wonders for your bedroom. Some vital feng shui bedroom tips for the kids' room - Limit the toys and clutter to boxes and closets. Decorate the ceilings with stars. The golden rule for Feng shui bedroom colors is to avoid loud and overpowering colors. Violets, lavenders, yellows, blues, whites and grays can contribute towards making your bedroom soothing and restful. Since sleeping is a yin activity, the feng shui bedroom colors must not be stimulating so as to prevent peace and rest. Sharp angles and geometric shapes can also be avoided in the bedroom. Let the bedroom be bathed in a color palette that is too hot or too cold. A warm soothing atmosphere can be created with the right blend of colors, lighting and furnishings. Place the bed such that there is equal space on either side so as to allow both partners to find equal enjoyment and fulfillment in the relationship. When placing items of furniture around the bed, ensure that the taller ones are placed to the left of the bed while a low table occupies the right side of the bed. Keep the area at the foot of the bed clear to promote clarity of vision and inspiration. Place the bed in a location that gives you clear sight of the door. Do not place the bed next to a window. Avoid placing mirrors opposite the bed. Place next to your bed instead of over it. Use soft lampshades so that the light in the bedroom is not harsh and powerful but subdued and calming. Ensure that bed is supported by a solid wall behind it. As per Feng shui guidelines, do not have a bedroom layout that has beams or overhead cupboards over your bed. If you have an en-suite bedroom, you must keep the bathroom door closed at all times. As per Feng shui, it is not auspicious to sleep with your feet facing a door as it leads to outflow of energy. Do not have the head of the bed facing north. Octagonal or arched windows are ideal for Feng shui bedroom arrangement. 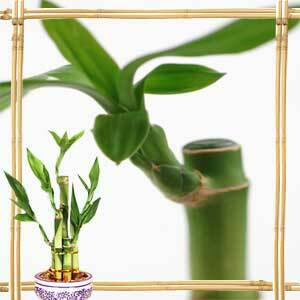 Work on the southwest corner of your bedroom layout for Feng shui charms. Use aromatherapy or other positive vibes in that nook. Do not place computers, television or exercise equipment in that spot of your bedroom. Do not use the area under your bed for storage. Instead air space under your bed can give you restful sleep in the protective arms of positive chi.